Doug Vines formed a tag team with Jeff Sword known as the “Devil’s Duo” managed by Izzy Slapawitz..
April 25, 1981: The Devil’s Duo defeated Lanny Poffo & George Weingeroff for the ICW (Kentucky) Tag Team titles..
June 15, 1981: Lanny Poffo & George Weingeroff defeated The Devil’s Duo for the ICW (Kentucky Tag Team titles..
1984-85: “Dirty” Doug Vines did some enhancement work for Jim Crockett Promotions..
October 28, 1990 – Wrestling Challenge: The Texas Tornado defeated Doug Vines to retain the Intercontinental title. November 10, 1990 – Superstars: Jim Duggan defeated Doug Vines. November 18, 1990 – Wrestling Challenge: Tugboat defeated Doug Vines. 1991: Doug Vines & Jeff Sword teamed up again as “The Barroom Brawlers”..
January 26, 1991 – Superstars: The Legion Of Doom (Animal & Hawk) defeated Cleo Reeves & Doug Vines. February 9, 1991 – Superstars: The Hart Foundation (Bret Hart & Jim Neidhart) defeated Dale Wolfe & Doug Vines in a dark match to retain the tag titles. February 10, 1991 – Wrestling Challenge: The Big Boss Man defeated Doug Vines. March 30, 1991 – Superstars: The British Bulldog defeated Doug Vines. April 7, 1991 – Wrestling Challenge: The Texas Tornado defeated Doug Vines. May 27, 1991 – USWA: Chris Candido defeated Doug Vines. July 8, 1991 – USWA: The Barroom Brawlers defeated Robert Fuller & Jeff Jarrett for the USWA (Memphis) Tag Team titles..
August 5, 13, 1991 – USWA: Robert Fuller defeated Doug Vines. September 28, 1991 – USWA: The Texas Outlaws defeated Robert Fuller & Jeff Jarrett for the USWA (Memphis) Tag Team titles..
October 7, 1991 – USWA: Robert Fuller & Jeff Jarrett defeated The Texas Outlaws to win the tag team titles..
October 15, 1991 – USWA: Jeff Jarrett & Robert Fuller defeated The Texas Outlaws (Texas Outlaw #1 & Texas Outlaw #2). October 22, 1991 – USWA: The Texas Outlaws (Texas Outlaw #1 & Texas Outlaw #2) defeated Bill Dundee & Dutch Mantel. December 23, 1993 – CWI TV Taping: The Bar Room Brawlers (Doug Vines & Jeff Sword) defeated Dan Anderson & Flash Flanagan. December 23, 30, 1993 – CWI TV Taping: The Bar Room Brawlers (Doug Vines & Jeff Sword) defeated The American Eagles (American Eagle #1 & American Eagle #2). January 7, 1994 – CWI: The American Eagles (American Eagle #1 & American Eagle #2) defeated The Bar Room Brawlers (Doug Vines & Jeff Sword). January 8, 1994 – TSW: Doug Basham & Kevin Haste defeated Doug Vines & Jeff Sword. January 14, 1994 – CWI: The Bar Room Brawlers (Doug Vines & Jeff Sword) defeated The American Eagles (American Eagle #1 & American Eagle #2) by disqualification. January 20, 1994 – CWI: The Bar Room Brawlers (Doug Vines & Jeff Sword) & Texas Bandit defeated The American Eagles (American Eagle #1 & American Eagle #2) in a handicap match. January 21, 1994 – TWA: Billy Montana & Gene Spurlock defeated Texas Outlaws (Texas Outlaw #1 & Texas Outlaw #2). Texas Outlaws (Texas Outlaw #1 & Texas Outlaw #2) defeated Dan Marlowe & Johnny Blaze. January 29, 1994 – CWI: The Bar Room Brawlers (Doug Vines & Jeff Sword) defeated The Collegiates (David Adcock & Mark Adcock). February 4, 1994 – CWI: The American Eagles (American Eagle #1 & American Eagle #2) & Mike Wilson defeated The Bar Room Brawlers (Doug Vines & Jeff Sword) & Bill Halten. February 5, 1994 – CWI: The Collegiates (David Adcock & Mark Adcock) defeated The Bar Room Brawlers (Doug Vines & Jeff Sword). February 11, 1994 – CWI: The Bar Room Brawlers (Doug Vines & Jeff Sword) defeated The American Eagles (American Eagle #1 & American Eagle #2) in a looser leaves town match. 1994: Doug Vines & Jeff Sword worked for Bert Prentice’s Championship Wrestling out of Indiana..
February 12, 1994 – TSW: Doug Vines defeated Mark Adcock. March 17, 1994 – TSW: Doug Vines defeated Troy Haste. March 18, 1994 – CWI: The Bar Room Brawlers (Doug Vines & Jeff Sword) defeated Doug O’Briley & Flash Flanagan. March 25, 1994 – CWI: The Bar Room Brawlers (Doug Vines & Jeff Sword) defeated Pennsylvania Pete & The Comet. April 1, 1994 – CWA: Doug O’Briley & Flash Flanagan defeated The Bar Room Brawlers (Doug Vines & Jeff Sword). April 8, 1994 – CWA: Doug O’Briley & Flash Flanagan vs. The Bar Room Brawlers (Doug Vines & Jeff Sword) ended in a double disqualification. April, 22, 1994 – CWA: Doug O’Briley & Flash Flanagan defeated The Bar Room Brawlers (Doug Vines & Jeff Sword). April 29, 1994 – CWA: Young Stallions (Bill Marino & Steve Marino) defeated Bar Room Brawlers (Doug Vines & Jeff Sword) to win the tournament and vacant tag team titles. May 5, 1994 – CWA: Doug Vines defeated Doug Basham. May 7, 1994 – CWA: Doug Vines defeated David Adcock. May 14, 1994 – CWA: Doug Vines defeated Big Ted. May 13, 20, 1994 – CWA: Doug Vines defeated Sean Casey. May 22, 1994 – CWA: Dan Childers defeated Doug Vines. May 23, 1994 – CWA: Doug Vines defeated Dan Childers. Doug Vines & Troy Haste defeated Danny Davis & Doug Basham. May 27, 1994 – CWA: Doug Vines defeated Jerry Faith. June 10, 17, 1994 – CWA: Doug Vines defeated Dan Childers. June 16, 1994 – CWA: Dan Childers defeated Doug Vines. June 18, 1994 – CWA: Doug Vines defeated Dan Childers. June 19, 1994 – CWA: Doug Vines defeated Danny Davis. June 24, 1994 – CWA: Dan Childers defeated Doug Vines. June 25, 1994 – CWA: Doug Vines defeated Doug Basham. July 15, 1994 – CWA: Doug Vines defeated Dan Childers. July 22, 1994 – CWA: Doug Vines vs. Mike Samples ended in a no contest. August 2, 4, 1994 – CWA: American Eagle #1 & Danny Davis defeated Doug Vines & Jeff Sword. Doug Vines defeated Jerry Faith. August 5, 12, 1994 – CWA: Doug Vines defeated Mike Samples. August 19, 26, 1994 – CWA: Mike Samples defeated Doug Vines. September 1, 1994 – CWA: Doug Vines defeated Mike Samples. September 2, 1994 – CWA: Mike Samples defeated Doug Vines. September 3, 1994 – CWA: Doug Vines defeated Bill Drury. September 9, 2014 – CWA: Doug Vines defeated Chris Dailey. September 15, 1994 – CWA: Doug Vines defeated Mike Samples. September 16, 1994 – CWA: Doug Vines defeated Chris Good in the 1st round. Doug Vines defeated Gordie Jones in the semi-finals. Mike Sample defeated Doug Vines to win the tournament and vacant heavyweight title. September 29, 1994 – CWA: Doug Vines defeated Mike Samples. September 30, 1994 – CWA: Mike Samples defeated Doug Vines. October 13, 1994 – CWA: Doug Vines defeated All-American Kid. October 14, 1994 – CWA: Doug Vines defeated Mike Samples. 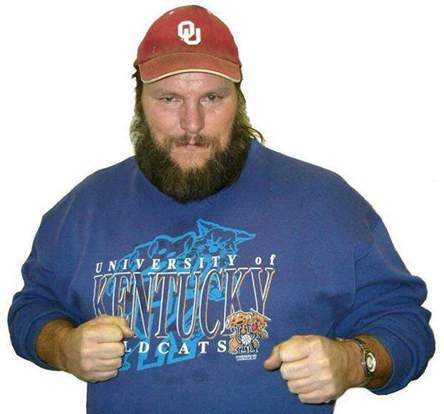 April 5, 2008 – UCW: Doug Vines defeated Jack Daniels. May 17, 2008 – UCW: Jack Daniels defeated Doug Vines. July 4, 2008 – UCW: Doug Vines vs. Vic The Bruiser ended in a double count-out. January 17, 2009 – UCW: Jack Daniels defeated Doug Vines. February 7, 2009 – UCW: Doug Vines & Steve Marino defeated Fire And Flame (??? & ???) by disqualification. February 28, 2009 – UCW: Doug Vines & Steve Marino defeated Jack Daniels & The Kentucky Stud. March 14, 2009 – UCW: Doug Vines vs. Jack Daniels ended in a no contest.